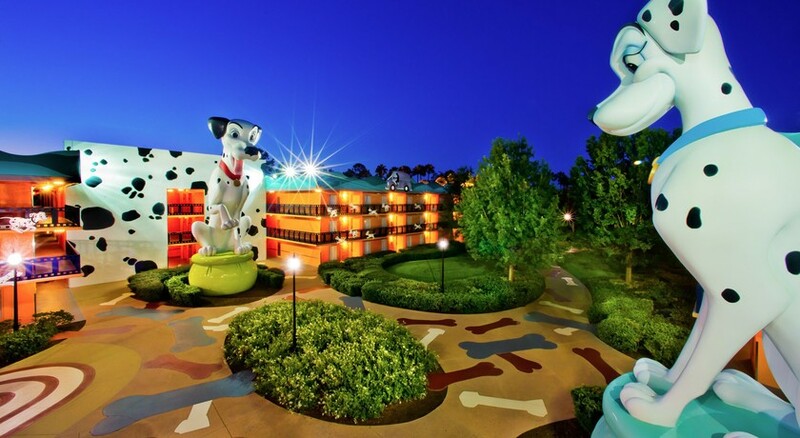 Disney aficionados will love staying at Disney’s All Star Movies Resort as it is dedicated to all things Disney and is perfect for families with children. With 1920 rooms available spread across 10 buildings, each block is themed in the design of a Disney film. Located in Kissimmee just to the south of Orlando, staying at this property offers great access to Walt Disney World, Disney’s Hollywood Studios, Disney’s Animal Kingdom as well as a range of golf courses. Universal Studios and SeaWorld are easily accessible as well. With 2 pools, movies under the stars, free WiFi, 2 on-site dining options and a complimentary theme park shuttle, staying at Disney's All Star Movies Resort is a great way to start the magic of Orlando. 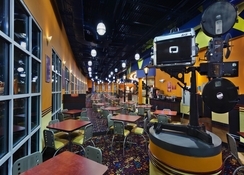 Disney's All Star Movies Resort is located in Kissimmee which is just to the south of Orlando. 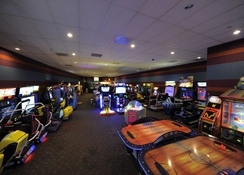 You will be in a great place to explore Orlando and all the theme parks and attractions it has to offer. Walt Disney World (3.3 miles), Universal Studios (14.4 miles), SeaWorld (10 miles) and Disney’s Animal Kingdom (3 miles) are all within easy reach. There are numerous golf courses close to the resort including Champions Gate Golf Club (6 miles) and Mystic Dunes Golf Course (5.8 miles). 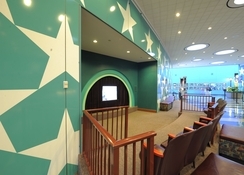 Disney’s All Star Movies Resort has 1920 rooms spread over 10 buildings which are designed with the theme of a Disney film. They can sleep up to 4 people and come with queen beds, air conditioning, a fridge as well as a small seating area. 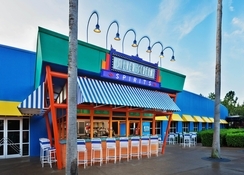 There are 2 eating options on-site at Disney’s All Star Movies Resort. 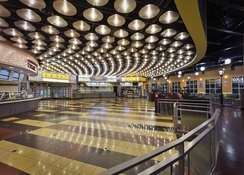 The Intermission Food Court is open for breakfast, lunch and dinner and offers a range of meals and desserts. The Singing Spirits Pool Bar has a variety of cocktails, wines, beers and non-alcoholic drinks set beside one of the 2 pools found at the property. There is also the option for having food delivered to your room. Disney’s All Star Movies Resort is close to the main theme parks and attractions in Orlando and staying here means you get free transportation throughout Walt Disney World as well as other benefits such as extra hours inside the theme park. The hotel has 2 large pools, games room, playground and movies under the stars that show Disney films in the great outdoors. There are also several golf courses in close proximity to the hotel as well as numerous shopping opportunities including the Lake Buena Vista Factory Stores which is 7 miles away.